I’ve finally found a reason to break out my posh velvet jacket! 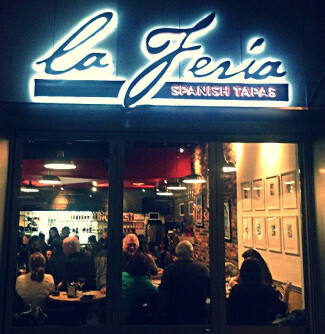 For one evening on Tuesday, March 11, I will be the wine steward at La Feria Spanish Tapas. Enjoy the full dining experience with La Feria’s complete menu of authentic Spanish Tapas and wine available throughout the seating. You will be astonished by Seville native Pilar Baron-Hidalgo’s transformation of quality ingredients into small plates evocative with the flavors and textures of the Mediterranean. Grilled fresh sardines, fried eggplant with honey, and tortilla Española are but just a few. Additionally, we’ll be debuting a selection of Spanish wine in the state of Michigan. On offer will be wines from well-known regions like Rioja and Priorat, as well as wines from emerging regions such as Valencia and Asturias. I’ll be there to recommend wine and food pairings, talk about the wines and answer any questions that may arise. We’ll also introduce you to wine importer and Barcelona native Núria Garrote i Esteve. She’ll be there to provide insights into the wine and food from a Spanish perspective. Both seatings are very limited and we expect them to go quickly. RSVP is required. 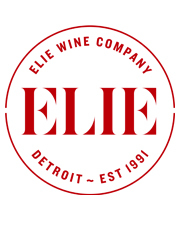 Call us at (248) 398-0030 or send an email to elie@eliewine.com to secure your spot for what promises to be a lively evening of food and wine.